Governor Adams Oshiomhole of Edo on Friday advised public officers and politicians to get rid of their private jets as President Muhammadu Buhari had begun blocking financial leakages in the country’s economy. Oshiomhole made this known at a public lecture titled “Labour and the Nigerian Economy: What needs to be done”, held at the University of Port Harcourt. “Few people (in Nigeria) are taking away so much wealth, while majority of the people are going home with almost nothing. 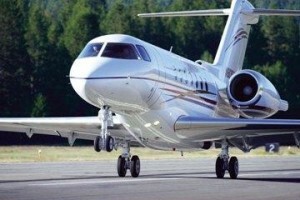 “A clear example is when you arrive at the private wing of the airport in Abuja; you will find more than 40 to 50 private jets parked there in one airport alone. “The question is what sources do these private jet owners get their wealth from; and which businesses do they run to acquire this luxurious lifestyle. “You find a young man who has connection with state-owned NNPC, which is suppose to work for the interest of Nigeria, corruptly work for only the interest of few persons,” he said. “Very soon, those who maintain luxurious assets and private jets will begin to sell them because they will no longer be able to maintain them. “The sources of procurement of these ill gotten wealth by these people is currently being disconnected and more will be disconnected in the few days and in the coming weeks,” he said. Oshiomhole blamed the Nigerian Labour Congress (NLC) for its failure to call politicians to order in the face of the country’s current falling economy. “How NLC has kept quiet and allowed Senators allocate to themselves annual income of N200 to N300 million both as basic salaries and bogus allowances combined baffles me,” he queried. He recalled that former presidents Umaru Yar’Adua and Goodluck Jonathan had cut their salaries and that of their ministers by 25 per cent each, which meant the officials currently earned 50 per cent less salaries. “Now, in the face of current harsh economic realities, some politicians are saying that 50 per cent should be removed from their salaries to appease Nigerians. “This implies that if you plus the current 50 per cent reduction demand and the already removed 50 per cent which was never restored by the previous administrations; it will amount to 100 per cent reduction. “This is a clear case of the more you look the less you see as politicians are bent on deceiving and confusing everyone because the main money are not in salaries but in their allowances,” he said. Oshiomhole called on President Muhammadu Buhari to revoke licences of electricity generation and distribution companies, saying the sector was “fraudulently” privatised and currently enmeshed with corruption.